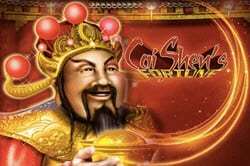 Genesis has an exceptional slots video game called Cai Shen's Fortune. Its action takes you through a variety of Chinese traditions and legends, creating an entertaining experience that delivers a bit of knowledge along with some excitement. Cai Shen's Fortune offers five reels across three rows, delivering a fantastic collection of 243 different ways to win a prize. If you respect the Chinese deity of prosperity and pray for a large win, your prayers may just be answered. Cai Shen's Fortune Awaits You! Before you can win an exciting and large prize, you'll need to learn how to appeal to the god of prosperity. It's worth it, so keep reading. Trigger a Bonus with the Hieroglyph – When you get three hieroglyph symbols, this scenario triggers the bonus feature. Simply pick your choice of one of the five sets of free spins. The multiplier attached to your selection is used to calculate the full value of any wins you achieve during the spins. Cai Shen's Golden Ingot – Blessed by Cai Shen, the Golden Ingot is a fantastic symbol to get in any spin. It takes the place of any symbol but the Hieroglyph, allowing you to complete winning lines. As you play the game, you'll be easily impressed by its pleasing sounds, colorful designs, and huge wins. Chinese styling is evident throughout this slot. Best of all – no real money is necessary for this amazing online slot game presented by Genesis. Other games are available for free play, or you can choose one of the many online slots requiring a deposit. 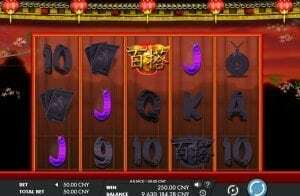 Just take a look at the list of reputable online casinos to access a Genesis slot from a vetted online casino and enjoy the fun of playing Cai Shen's Fortune or another game for free.